Finan Home Service has been fixing slow drains and providing drain cleaning services to London residents for more than 20 years. The cause of a plumbing problem is not always obvious given the complexity of the entire system. We’ll diagnose the problem, explain our recommendations, and provide you with an upfront price on all work before we start. How Do We Clean Your Drains? Hydro-Jetters: We also have hydro-jetters for those instances when a cable just won’t do. A hydro-jetter uses high-pressured water to remove debris and build-up along drainpipe walls and can drastically improve the condition of your drainage system. DrainVision Sewer Camera™: The DrainVision system is a remote control camera made for entering sewer lines. This enables us to go deep inside the pipe and visually inspect the entire length from house to roadway. If we locate a problem early enough it can save you from having to dig up the yard and replace your entire system. Bio-Smart™: Bio-Smart is a safe, environment-friendly drain cleaning powder. It’s used as a regular maintenance product to prevent build-up along drain pipe walls, preventing costly stoppages and repairs. Septic tank owners should know that Bio-Smart helps prevent overflow problems by decomposing waste in a more safe and efficient manner. If the problem in your home requires immediate attention or the problem can be solved by one of our technicians with the assistant of our “Warehouse on Wheels” then we will dispatch our technician to arrive in a two-hour appointment window. When the tech arrives he will fully diagnose the situation and make the appropriate recommendations for solving this problem and avoiding future problems. For this service we will charge a small dispatch fee. The fee will vary depending on the type of service required and our Client Service Representatives will be happy to go over all the fees when you book the appointment. Water leaks and subsequent water damage can cause many issues in your home from mold growth to structural problems. Being proactive with plumbing maintenance and repairs can help you to avoid major damage and expenses. If you’ve noticed a water spot on a ceiling or wall or if water is puddling around a fixture or appliance call us immediately. Never use off the shelf chemical drain cleaners, bleach, solvents or any other caustic substances in your drains. These chemicals in your drainage system can cause serious damage to your pipes. Always let your technician know you used any chemicals, to protect the person doing the work and your property. Do not mix chemical drain cleaners as they could cause a dangerous reaction. Only use bio-degradable drain treatments. Closer to stoppage with fewer turns, giving cable added strength for better cleaning. 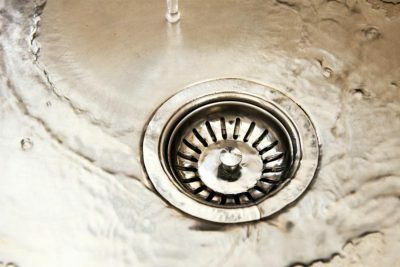 To help prevent major backups and clogs in your home, try using a drain catcher to catch physical debris. To help clear minor clogs in your drains, pour a mixture of hot water, baking soda and vinegar down your drains. If neither of these work, its best to call a professional plumber to come snake your drains and clear any clogs before they get worse. Questions about our drain cleaning service?